Tyson is an amazing and smart puppy and a wonderful addition to our family. His father was a huge 95 lb Shepherd and his mother was 80 lbs. He is a big puppy. Here is his chart. I'll update as he gets bigger. PS: Does anyone have suggestion on puppy food? I have been feeding him Royal Canin 24 for pups, but recently he has not been eating as much as he used to. I also want the best food for him. Hey thanks for the information! I actually ended up switching his dog food to Orijen Large Breed Puppy Food & he loves it! Tyson is now 6 months & 2 weeks and weighed in at 67.5 pounds at the vet yesterday.Everyone who sees him is shocked when I tell them he is only 6 months old. My pics are too large? I tried to send some pics of Presley on the RAW diet but I got a message saying they were too large, and I don't know how to make them any smaller. 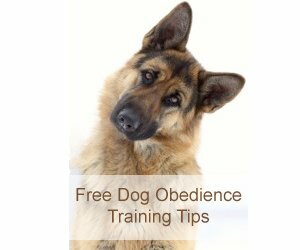 You can email them to me: jennifer (at) german-shepherd-lore (dot) com and I will resize them for you and update your post. Just mention 'Presley update' so I will know which post to update. I feed Presley the Raw 80-10-10 "prey model" diet now due to all the recalls! There is a learning curve when feeding raw and I would suggest that you read alot before switching if you decide to switch. 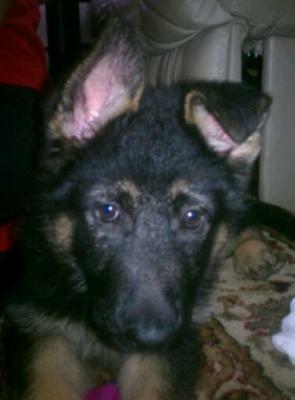 All the pictures I have of Tyson up there are from when he was 9-14 weeks, and does anyone know if and how I can add more recent ones? 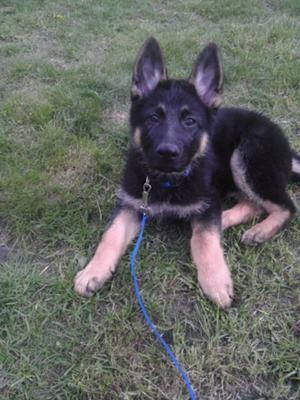 You can add a new submission to the German Shepherd Growth Chart page and include the pictures. I can then merge it with your previous submission.